This show goes where other productions wouldn’t go, and sheds much-needed light on one of America’s most terrifying ghost stories. The top-notch crew and other cast members went above and beyond in making sure the legend was “done right,” and it was both an honor and a pleasure to work with them. I am unable to comment about the show’s plot or other details at this time, so I will leave you with A&E’s “first look” video of “Cursed: The Bell Witch!” Look for the show to begin airing in early October. 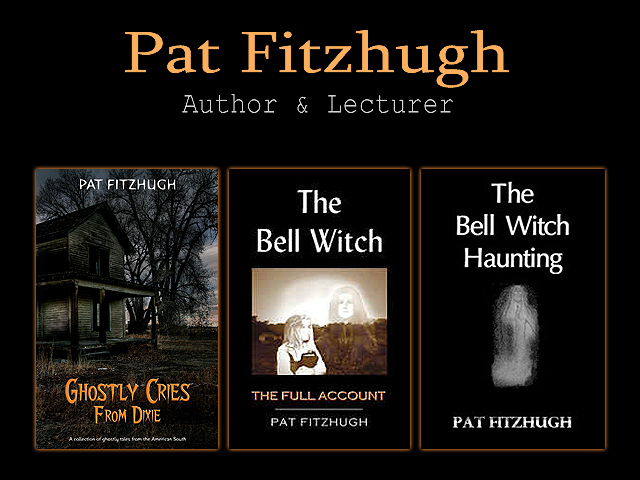 ALSO, for updates and more upcoming events and appearances, check out The Bell Witch Web Site, my Facebook page, and my Bell Witch book page. But for now… enjoy the following video. Thanks for watching! I’ve been watching the show and I’ve liked what they did with the initial investigation. It did a lot to dispel the idea of a curse by a witch, but after that, how they’ve been handling the paranormal investigation seems mostly about stirring things up and making things worse. I’d really have liked to see what The Dead Files would have done with this part of the investigation. I know that’s a whole different channel, but I think Amy would have contributed a lot to help get rid of the curse.